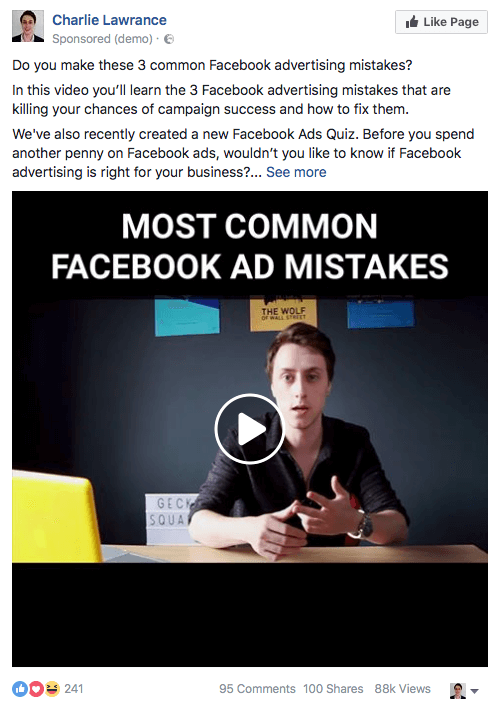 Are you using video in your Facebook ad campaigns? Wondering how video can best move people through your sales funnel? In this article, you’ll learn how to move prospects through three stages of the decision-making process by serving the right video at the right time. 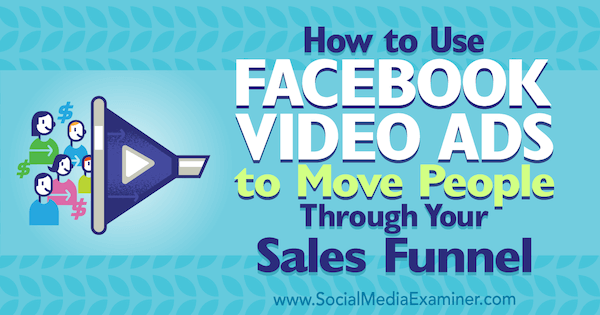 How to Use Facebook Video Ads to Move People Through Your Sales Funnel by Charlie Lawrance on Social Media Examiner. 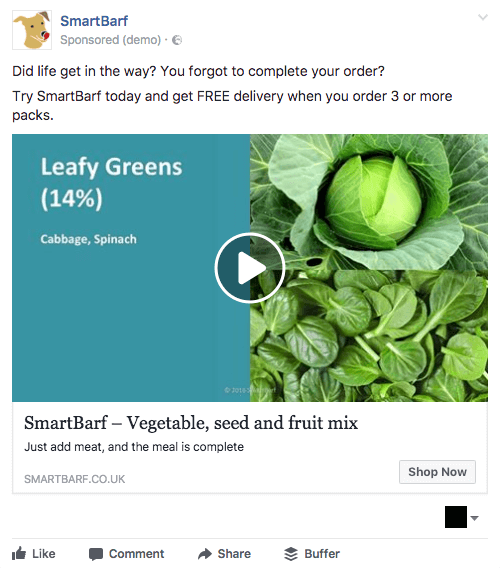 Why Use Video Ads in a Sales Funnel? Before you start creating video campaigns for each stage of the sales funnel, it helps to know exactly how a sales funnel is defined. In its simplest form, a sales funnel is a series of stages designed to guide target audiences toward a buying decision. The campaign technique outlined in this article relies on a three-part funnel called ALL: Awareness, Level 1 Remarketing, and Level 2 Remarketing. 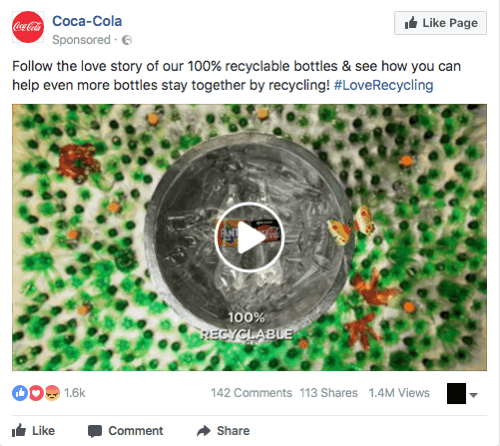 The idea is to move a target customer from the top to the bottom, and using video ads is one of the most effective ways to do this. 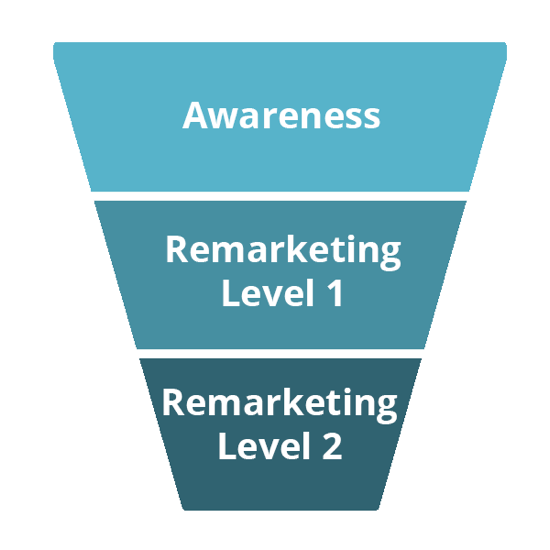 The three stages of this funnel are Awareness, Level 1 Remarketing, and Level 2 Remarketing. Video content on Facebook excels at capturing and then holding audience attention compared with other content types such as photo or link posts. Facebook users currently watch more than 100 million hours of video per day, and video’s popularity is only increasing. Traffic from online videos will constitute more than 80% of all consumer Internet traffic by 2020 (up from 73% in 2016). 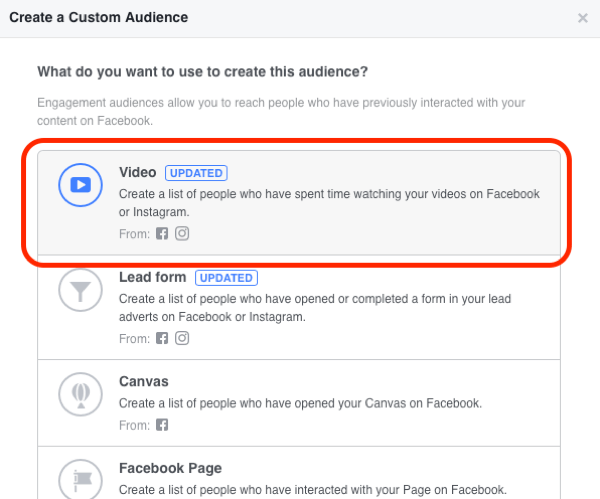 For advertisers, an added benefit is that you can build video custom audiences from views of your videos, which you use in the middle of your sales funnel as your Level 1 Remarketing audiences. A common mistake is trying to sell right away with straight direct-response campaigns to people who aren’t ready to buy from you yet. At the top of the sales funnel, the audiences you’re targeting are cold; they’re unfamiliar with your business and don’t recognize or trust you. With this in mind, your goal is to build awareness of your business. You can “warm” cold audiences with content that delivers value, which in turn builds brand awareness and recognition in the news feed. Your content can also help establish credibility and authority in your industry. For instance, educational content is a great way to deliver direct value to your target audience. In your video, teach viewers something or preview the written content such as a guide or checklist lead magnet. Use video content to educate your target audience. Tell your story using video to connect your brand values with customer values. Use video ads to gather audience feedback that can guide product creation. Although an advertising campaign can have many different objectives, video views is the most effective campaign objective at this stage of the sales funnel. 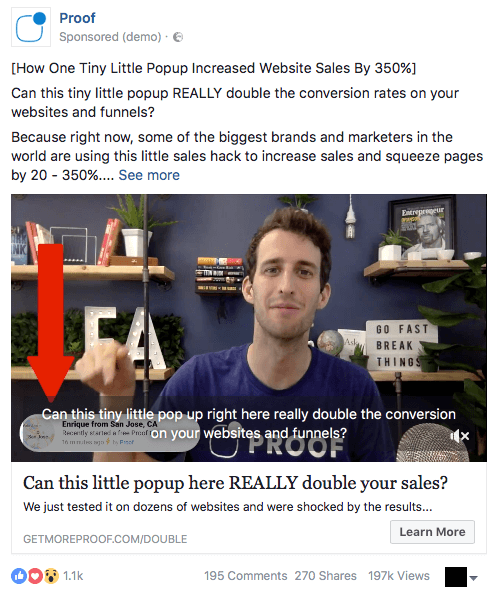 In the middle of the sales funnel (also known as Level 1 Remarketing), your video ads target people who have interacted with your business on Facebook and build upon that consideration by incentivizing them to purchase your products or services. Because your ads target people who have already engaged with your business on Facebook, these audiences are warm. 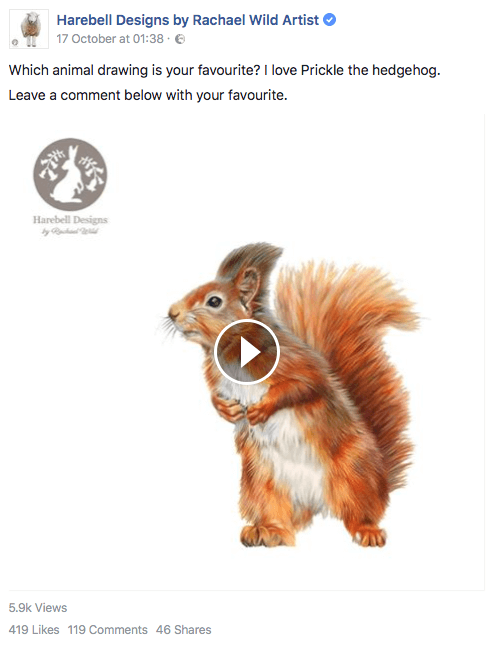 These interactions might be Facebook page engagements or video views. To target people who visited your page, you create a custom audience based on page engagement. To target people who have viewed one of your videos, create a custom audience based on video views. Build custom video audiences to use in the middle of your sales funnel. At this point, share direct-response, benefit-driven videos about your products or services to position your offers. 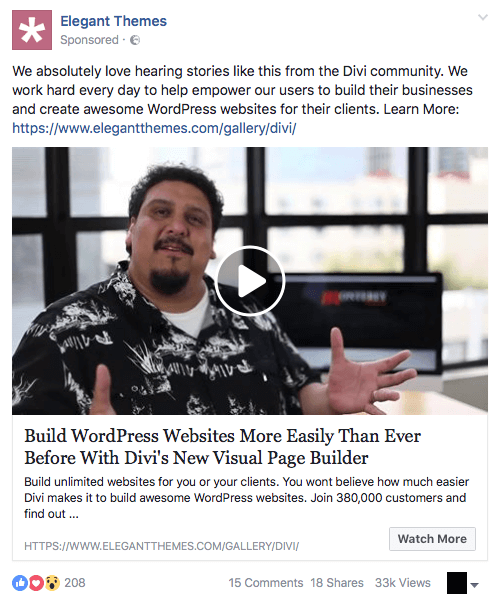 With this content, you can drive people from Facebook to your website to discover more and make a purchase. Use video ads to promote a sale. 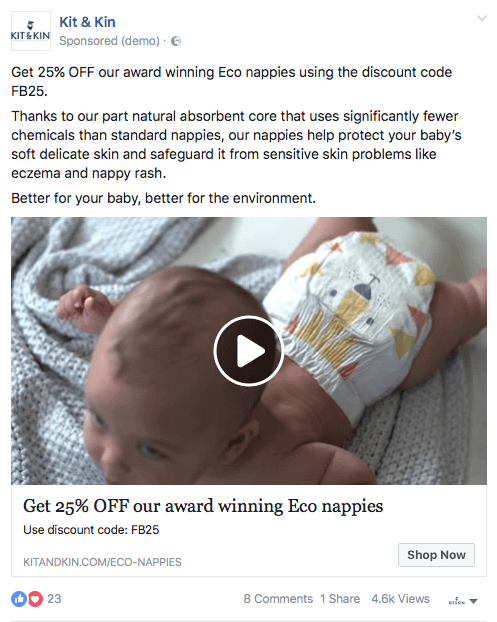 Use video ads to drive product trials. At this stage of the sales funnel, the goal is to get your target audience to take a particular action on your website and not just watch the video. Whether you do a discount, a trial, or some other promotion, conversion is the most effective campaign objective. At the bottom of your sales funnel, your goal is to drive conversions by reengaging people who have visited your website but haven’t taken your desired action. This stage is also known as website remarketing or Level 2 Remarketing. This tactic works for businesses of every size, not just large companies like Amazon. To make it work, you need to install the Facebook pixel and conversion tracking on your website. For example, if you’re an ecommerce company, one of the most effective campaign types at this level is the cart abandonment remarketing campaign. This targets people who have added your product to their cart but then abandoned the checkout process. Use video testimonials to demonstrate social proof. If you don’t have ecommerce actions to use for remarketing, you can still remarket to people based on page views. For example, reengage people who have visited your website through reminder campaigns. The always-on, always-connected nature of social media means that attention spans are decreasing as people get distracted easily, so reminder campaigns are a great way to bring people back to finish a particular action such as a purchase. Use product videos in reminder campaigns. The most effective campaign type for videos at this stage of the sales funnel is again the conversion objective because you want someone to take a particular action. However, the specific conversion action can be further down your customer journey. For example, a purchase event action would come after completed actions in the middle of the funnel such as adding an item to the cart or initiating checkout. Video content can do more than generate awareness at the top of the sales funnel. By using video at both the middle and bottom of your sales funnel through Level 1 and Level 2 Remarketing, you can better engage your target audience with the right offers at the right time, and deliver a greater return on your advertising expenditure. What do you think? Have you tried video ads to drive awareness or conversion? Do you plan to adjust the way you target audiences or the type of content your ads contain? Please share your thoughts in the comments.